[00:00:00] On today’s join us in France: more Paris layover tips including a few that you could use if you’re stopping by Paris during the holidays. [00:00:10] If this podcast is helpful to you and you’d like to show us your support make your amazon purchases through Join Us. It doesn’t cost you a penny more. And we make a small commission to joinusinfrance.com/support or click on the picture on the left hand side of the Web sites. Right now it’s paranoia because of the holidays but I’ll change the photo just to keep it interesting Restivo. [00:00:38] This is Join Us in France episode 96. Hello I’m Annie. And Join Us in France is a show about all things French. French I love France I was born and raised here. I also live in France but I’ve also lived in the U.K. and the U.S. for a couple of decades. So I have a unique perspective on my own country and I want to help you understand France better, at least the way I understand France, which is sometimes a little bit quirky I’ll admit that. [00:01:06] Shout out today to all of you who are remembering to use the Amazon link on joinusinfrance.com on the front page the little picture on the sidebar. Because it helps pay for expenses for this show. So thank you very much for doing that and also thank you very much Rebecca Rose for offering to help me with Pinterest. We still haven’t figured it out quite right but hopefully we can get that sorted out soon. [00:01:34] And if you like this episode you’ll probably also like episode 73 which is also about doing a layover in Paris and some of the tricks that you can use to make it an enjoyable time. For show notes and photos on this episode. Go to joinusinfrance.com/96. Also an announcement that there will not be an episode released next week so that’ll be next Saturday is going to be the 26 of December. Because I’ll be on vacation and it’s Christmas and I’m just not able to work quite as much as I do the rest of the year on the on the show. But the show will be back on January 2nd with an episode with Elyse actually on Art Nouveau in France. So that’ll be very exciting. It will be a new year an Art Nouveau. I like it. We didn’t do that on purpose but it’s really cool. [00:02:30] So let me wish you Happy Holidays before I get going with the interview I hope you all have a wonderful time and enjoy your family and friends to the fullest wherever you may be in the world. There are fans and followers of this show all over the world ,even in some places that I haven’t even heard of before so it’s lovely to know that there are so many people interested in learning about France. [00:02:54] So to finish off the year I thought I would share with you which episodes are the most popular. Well the very most popular episode we’ve had so far is episode 47 on Bayonne in the Basque Country which is interesting to me. It’s a lovely place. I love it. I visited a few times and I really think that’s enjoyable. It’s interesting to see that people are seeking out information about Bayonne quite a bit. The second most popular episode is Episode 9. Are French people rule? Yes, well people do ask that question quite a bit and we don’t answer it quite in the way they think we are. The third most popular episode 21 on the Louvre Museum of course we’re being as popular as it is. I’m not surprised at all. And then the fourth most popular episode is Episode 16 on Driving in France. [00:03:51] It’s pretty clear that there aren’t a lot of resources to help people drive in France if they’re not totally comfortable doing that. [00:04:00] OK so now let’s have our conversation with Emmanuel Rosenblum of TripAside.com. And happy holidays everybody! Annie: [00:04:10] Hello Emmanuel, very nice to talk to you. How are you? Emmanuel: [00:04:13] Hi Annie, thank you for having me. I’m fine thank you and you? Annie: [00:04:19] I’m good, thank you. All right. Well, I asked you to come on the show because you offer a service in Paris that is probably going to be interesting to several of our listeners. Can you tell us a little bit about you and your service? 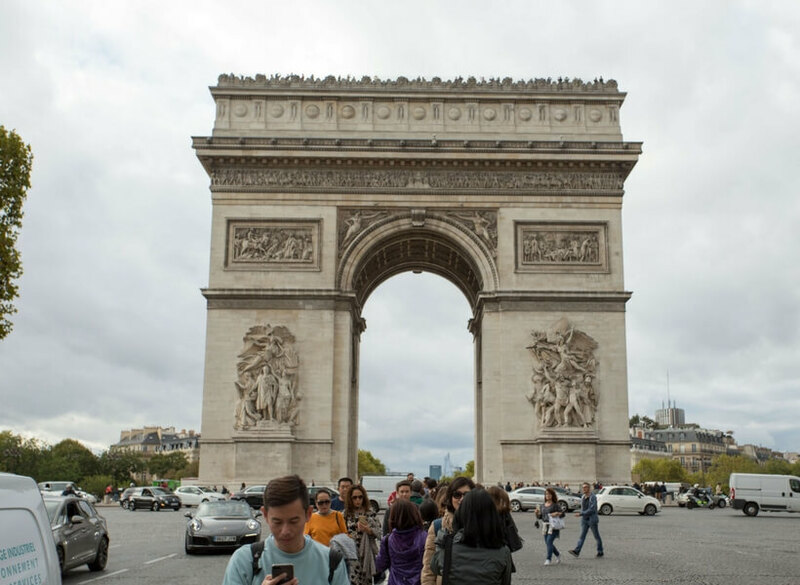 Emmanuel: [00:04:32] Yes, so I am a tour guide in Paris. And especially, I am a tour guide for layover travelers in Paris. So people who have a long layover at Paris CDG, Paris Charles de Gaulle airport, for example between the United States and India between Japan and Africa, they have 6, 7, 8, 10 hours between their two flights, and they want to discover Paris during that time. Annie: [00:04:57] Sure sounds like a better use of your time than staying at the airport. Emmanuel: [00:05:02] Yeah. So we are doing our best to help them visit the city during this time thanks to our website which is www.tripaside.com. Annie: [00:05:14] Very good. Yeah and I did an episode on layovers too. I’m looking at which number it was, cause I forgot! Do you remember which episode number this was? Emmanuel: [00:05:27] 73 I think. Annie: [00:05:31] Ah, there you go! You know my own podcast and I can’t keep track, we’ve done so many episodes by now, I’m like I don’t know! Annie: [00:05:37] Anyway, I talked about it some and I assume you told me you listened to that. Annie: [00:05:44] Did I say… Was it mostly correct? Emmanuel: [00:05:47] Oh it was entirely correct. It was full of great layover tips. About how to visit Paris, where to leave your luggage during the day. I think it was good, everybody go to 73 episode and hear it, to get some good layover tips. Annie: [00:06:06] OK that’s great. I’m glad you know, because I’ve never done this myself. So I was thinking through, you know, what I should do. But I haven’t had a chance to do it. So you said it’s mostly people coming between India and the U.S..
Emmanuel: [00:06:23] No, it’s mostly people coming from the U.S. and yeah, some of them are going to India, either to visit family, for business, or to visit the country. But we also have a lot of travelers flying between the U.S. and Europe. London, Italy, Spain, Greece and having a long layover in Paris between their two flights. Annie: [00:06:43] OK. So, somebody hires you to take them on this layover. Tell us what you do with them? Emmanuel: [00:06:49] So before the layover we check with them that everything is all right and everything will be great during the day. [00:06:56] So we are checking on nationalities to see if they need a visa or not to do the layover. To do the layover tour. If they are American, there is no need for any visa, it’s OK. We check if they have luggage so we can store them at Bagages dm Monde or at City Lockers. We checked and we checked out, of course what what they want to do and how much time do they have. Annie: [00:07:17] Is it the same service that I was suggesting? Emmanuel: [00:07:23] For the luggage? Yeah. Yeah. OK.
Annie: [00:07:27] So, sorry, do they have a location at CDG? Emmanuel: [00:07:31] No, at CDG it’s another company called Bagages du Monde. You talk about them during your show. It’s a storage place close to the train station, close to the RER station. Oh I find it the most convenient when you a layover because you can… It’s at the airport, so it’s easy to let your luggage before you leave, and then take it back before your next flight. Annie: [00:07:52] Yeah. Yeah so I didn’t realize that it was called Bagages du Monde. But it was a “consigne”, right? So yeah. OK. All right. Emmanuel: [00:08:03] And then after that we we are going to Paris. So, most of the time there is a driver with a private car waiting for you at the airport. So, as you are going through the customs, you go out of the international area, and HOP! there is a driver waiting for you with a sign with your name. He’ll whisk you into his car and drive you directly to the Eiffel Tower, because we know that you want to start with the Eiffel Tower when you have a layover in Paris. Annie: [00:08:35] I mean, the Eiffel Tower, obviously, everybody wants to see that! Emmanuel: [00:08:36] And at the Eiffel Tower, the driver will leave you, and that’s where you will meet the guide. Which is often me, but which also can be an Anna, Charlotte eye Charlotte or someone of our team. OK. And the guide will be with you during a three hour walk, walking tour. Can be longer. Annie: [00:08:50] So do you get the tickets ahead of time? Emmanuel: [00:08:56] Yup. We have the tickets ahead of time, but we don’t climb at the Eiffel Tower every time. It depends on the time you have and it depends on what you want to do during that time. For some travelers they really want to do the Eiffel Tower, and some of them want to see as much as they can during the time. So we just see the Eiffel Tower, take a selfie or two. And after that move to Notre Dame and Le Louvre. Annie: [00:09:20] OK. All right. But, if you want to go up, how long does it take you typically having the tickets ahead of time? Emmanuel: [00:09:28] I say one hour. Annie: [00:09:29] Wow that’s not bad. Yeah. Annie: [00:09:37] That’s true!Puts a little bit of pressure! Emmanuel: [00:09:43] So that’s why most of the time we try not to go climb the Eiffel Tower and we prefer to show other parts of the city like Le Louvre and above all Notre Dame, which is my favorite spot in Paris. So I love to bring travelers to there. Annie: [00:09:58] Yeah I mean, I think Notre Dame is really where you can get a feel for Paris. Annie: [00:10:07] Because even as you get there, you see all that neighborhood and all that it’s just beautiful. Emmanuel: [00:10:13] We walk along the Seine River going through the Pont des Arts with the Love Locks. Not any more, but still there are some love locks to show and interesting stories to share. And after arriving at Notre Dame and Ile de la Cité, for me it is really beautiful. Annie: [00:10:29] So you still have the driver at that point with your, right? Emmanuel: [00:10:32] You can have the driver always you, or you can do just a walking tour. It’s a different option that you can choose on our website. Annie: [00:10:39] OK. But if you’re at the Eiffel Tower, how do you get to Notre Dame without a driver? Emmanuel: [00:10:45] OK, so let’s say we arrived at the Eiffel Tower. We take one or two selfies. I share with you some of the story about the tower, and then we are going to Le Louvre. For that, the driver is still with us. And he drives us to Le Louvre. And at the Louvre, the driver, generally he will leave us. And from Le Louvre we will walk to Notre Dame. So it’s a half an hour walk in the city center. Annie: [00:11:13] So you walk along the Seine river to get you to get between Le Louvre and Notre Dame. Which is a nice walk! So, do you walk on the banks or do you walk around the streets? Emmanuel: [00:11:26] Yeah we walk on the banks. So we walked through Le Louvre, then Cour Carrée, then Le Pont des Arts, after that we go to the Ile de la Cité to the place where the last Templar was burned, le Square du Vert Galant. I’m sure you know it. Annie: [00:11:38] I know the Vert Galant, but I don’t know about the Last Templar. Emmanuel: [00:11:38] Ah, do you know the TV Show Game of Thrones? Emmanuel: [00:11:50] So Gorge R.R. Martin, the writer of Game of Thrones, he says that part of his inspiration comes from French history. And especially the history that the story is told by Maurice Druon and Les Rois Maudits. Annie: [00:12:05] OK, I’ve read that, yeah. Yes, a long time ago, but yeah. Emmanuel: [00:12:06] Les Rois Maudits starts with Philippe Auguste, king of France. So we’re going a little out of the layover story, but that is the story that they like. Emmanuel: [00:12:20] So, Philippe Auguste, he always needed more money. He decided to arrest all the Templar Knights that were in Paris at that time. And the last Grand Master of the Templars, Jacques de Molay, was burnt in the square du Vert Galant, I don’t remember the year, but it was in the 14th century. And the way he was burning, the Templars cursed the Kings of France. He cursed Philippe, he cursed his son, and he cursed his grandson. And all 3 Kings will die in the strangest circumstances. They were murdered, they were poisoned, so after that began the legend of the Templars. Annie: [00:13:04] Oh, very good. See, I had forgotten that story! It’s part of the Roi Maudits, right, the first book? Annie: [00:13:08] OK I have to read it again now. Emmanuel: [00:13:10] It’s a great book about the story of France. Annie: [00:13:11] I don’t know that was ever translated into English, actually. I’ll check, if I find it I’ll put it on the website. OK so you walk between the Louvre, you do all this beautiful walk, and then you get to Notre Dame. And? Emmanuel: [00:13:29] And after Notre Dame, either the tour is over and the driver is here waiting for you and driving you back to the airport. Or we have more time and in that case it’s kinda up to you. If you want to sit in a nice restaurant for a French lunch, we can. French. Or we can go to Le Marais, or we can also take another car and go to Montmartre. Annie: [00:13:52] That’s pretty cool. And if you were to take them to a restaurant nearby, where would you take them? Emmanuel: [00:13:57] One of my favorite places is actually a vegetarian restaurant. Emmanuel: [00:14:03] It’s named Végét’Halles. Have you heard about it? Annie: [00:14:05] No I have not. Emmanuel: [00:14:07] So it’s on Rue des Bourdonnais, and it’s a great vegetarian restaurant because it’s not just salads and raw vegetables like you imagine when you think of a vegetarian restaurant. 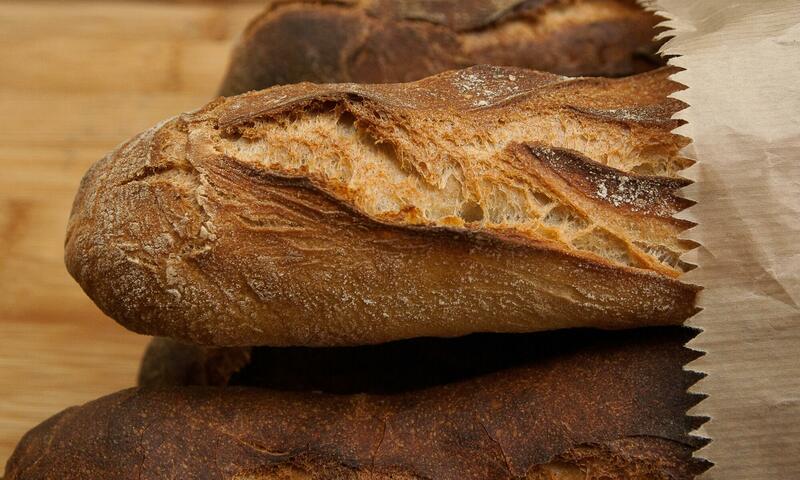 It’s a great French food, but with a great vegetarian twist. Annie: [00:14:22] Wow that’s a good that’s a good tip. So Végét’Halles on rue des Bourdonnais you said? OK I’ll put that on the website too. OK. Very good. That’s a that’s a good tip. For that sort of service, how much do you charge more or less. Emmanuel: [00:14:41] It depends, but it’s around 300€. Per tour, not per person, because for us the price is for the driver and the guide, so it’s 300€ per tour. Annie: [00:14:51] Ok so, so long as you fit in the car, it could be a family of three and be fine. Emmanuel: [00:14:56] And if you’re four or five we take a bigger car, and it’s a little more expensive, but yeah. Annie: [00:15:03] But not by much. [00:15:03] That’s a really good price actually, I mean you could actually because I mean, you get to a lot of things. And the Louvre, do you take them through the Louvre, or just look around outside? Emmanuel: [00:15:14] Also depends. Most of them would just stay outside. But so sometimes we have art lovers that want to go in the Louvre, and just for example go to the Mona Lisa. And we go into the Louvre, but for that we always use La Porte des Lions. Lion’s Gate. Do you know it? It’s a small entrance where there is always no-one in which is really close to Mona Lisa, so it’s useful to use it. Annie: [00:15:39] I mean, I know tour guides use that one a lot, but is it only for tour guides? Emmanuel: [00:15:43] No it’s not. It’s open to everyone but it’s not, but it’s not well publicized. 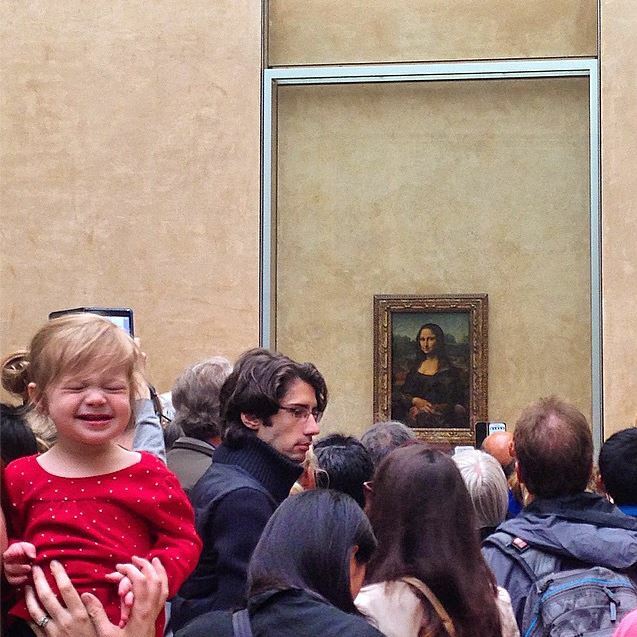 So Parisians can come and go in the Louvre without waiting a long time. Annie: [00:15:54] La Porte du Lion. Very good! I’m taking notes. I’m going have to put all that on there on the Web site. I’ve been to the Porte des Lions, and I knew about it, but in my memory it was just for tour guides. Emmanuel: [00:16:07] No, it’s not. It’s open to everyone. The only thing is that it’s not open every day, and you don’t know when it’s open or not, so you need to call in the morning. But, most of the time it’s open. Annie: [00:16:17] I see, do you know the number? Yeah maybe maybe I’ll give it to me later. OK. Very good. Excellent. So if somebody wants to do this sort of tour, but they don’t want to hire you, say they’re broke they’re a student, you know whatever. What can they do? Like if they just want to go to the Eiffel Tower? Emmanuel: [00:16:46] For the Eiffel Tower, that’s something that I disagree with your from your podcast. For me, the best way to get to the Eiffel Tower from the airport is really to take a cab or take an Uber. Because a train, RER B + RER C is really really slow. And I’ll be sorry I’ll see. It’s really really slow. Annie: [00:17:04] It’s a long way. Emmanuel: [00:17:05] Yeah. If you’re a student and you’re alone, still you can do that. Still on the show and still you can do but that’s maybe the only thing you will do in Paris. So I would strongly advise to take a cab if you want to go there directly to the Eiffel Tower. Annie: [00:17:14] Right, I though Uber was not in Paris? Emmanuel: [00:17:16] Oh, no, they are in Paris! And they are quite cheap because it’s 45€ from the airport to the Eiffel Tower. Annie: [00:17:24] OK. So this whole thing with the strike and all, that it was for nothing. Emmanuel: [00:17:30] Oh, they closed part of their service called Uber Pop, but the main service, Uber is still open. Annie: [00:17:33] Ah, I get it! So Uber Pop is for people who use older cars and it’s cheaper. I get it. OK. Very good. Very good. So, for you, a 45€ Uber right would be good. Emmanuel: [00:17:51] Yes, I think so because it will really save you time. Except if you arrive at 8 AM in the morning at the airport. And the Eiffel Tower it’s quite difficult to go from the airport because the Air France coach they go to Arc de Triomphe, the train RER B goes to Notre Dame, so yeah. If you are ready to skip the Eiffel Tower, then the train, the RER B is great. 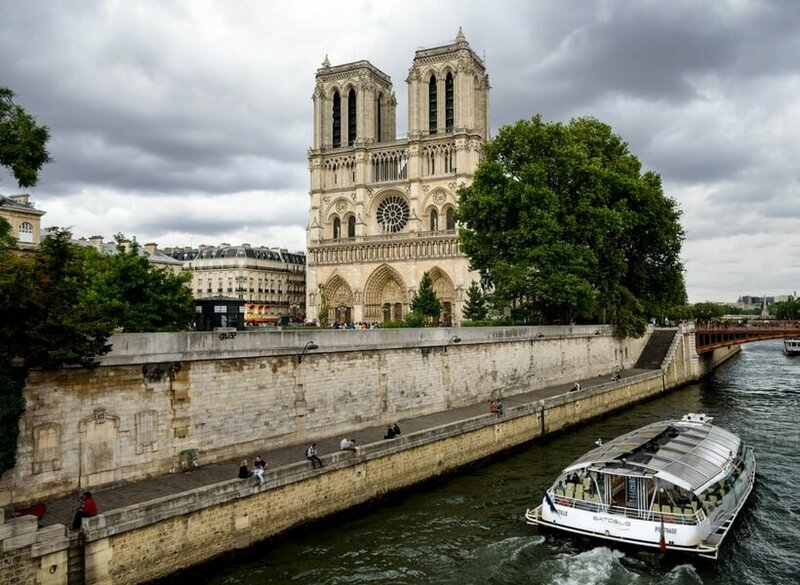 To go to Notre Dame and from there to do a small tour in the city center. Emmanuel: [00:18:24] For me that’s what will do because you can see the Eiffel Tower from far away. 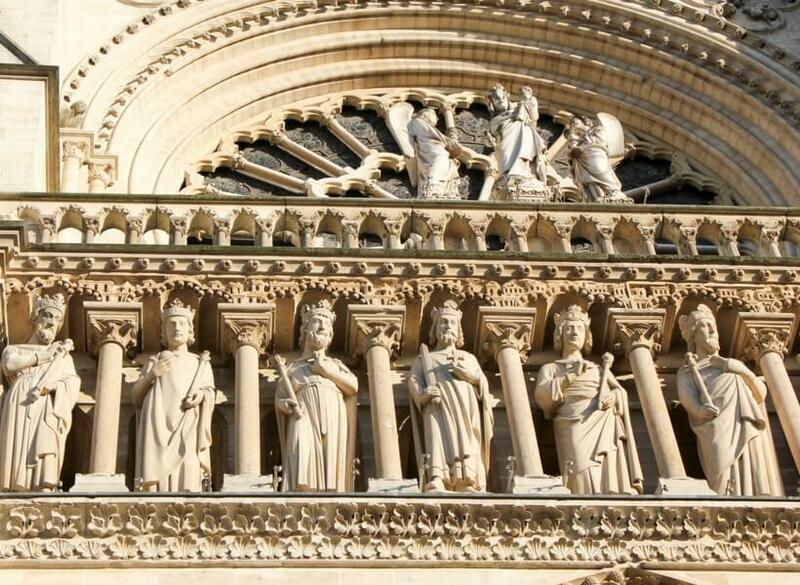 And Notre Dame is so much more beautiful than the Eiffel Tower. Annie: [00:18:32] And you know another thing, true, and another thing you can do is go to Notre Dame and then if you have a little bit of time then get on one of the Bateaux Mouches, and you’ll see the Eiffel Tower. Emmanuel: [00:18:44] Yeah exactly. The river cruise that starts at Pont Neuf, it’s a great way to discover the city during a short layover. Emmanuel: [00:19:03] Yes, because it’s winter time now in Paris, and we have a lot of people we want to visit Paris, but after one hour outside they say oh, it’s getting cold or oh, it’s raining. We want to do as much as possible but we don’t want to be too late before getting you back to the airport. What they will advise is still to go to the Eiffel Tower. It’s raining. OK it’s cold but it’s maybe the only time in your life that you’re in Paris. So you don’t care a lot. And after for example, either go to Le Louvre Museum and visit it because it’s really really great. Or go to a café. Go for example to Angelina’s rue de Rivoli, and have a great time in a French café with a hot chocolate. 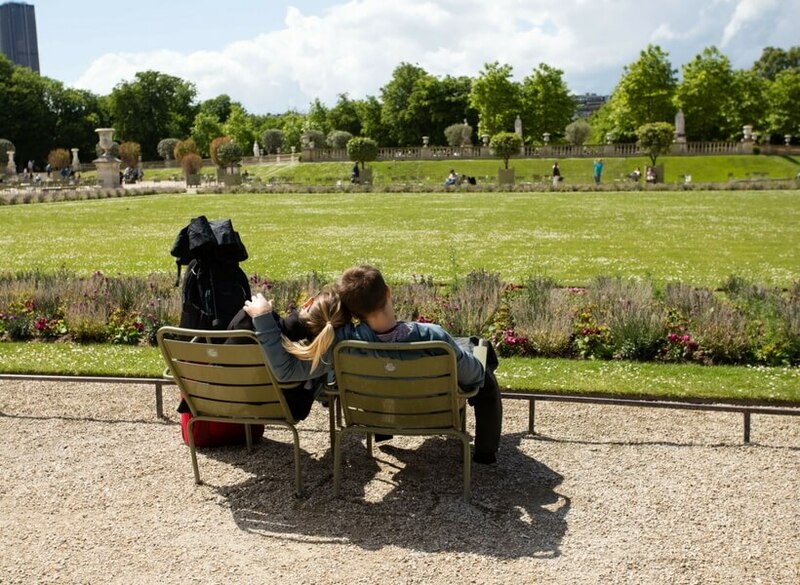 Enjoy the Parisian way of life. Instead of seeing as much as you can. Annie: [00:19:52] Although, honestly, if you go to Angelina’s, how many French people are you going to run into? Yeah. It’s all going to be foreigners. Emmanuel: [00:19:56] Yeah that’s right. You’re right about that. Angelina, let me think. Yeah. For example Café Truc in Le Marais, You don’t reach into my head. So a great place to go to eat for lunch, or just to sit for a café. Annie: [00:20:12] OK. I mean Paris has no shortage of cafes you can go anywhere you know, if it’s nearby and you’re wet anyway you go in and… stop being so miserable! Emmanuel: [00:20:22] Yeah, you’re right! Annie: [00:20:24] That’s what I think! Emmanuel: [00:20:24] And really, don’t try to do as you can because you will be tired and you want to enjoy your day, even if you will be wet and you will be oh no I just want to go back to the airport and Paris just wasn’t that great. 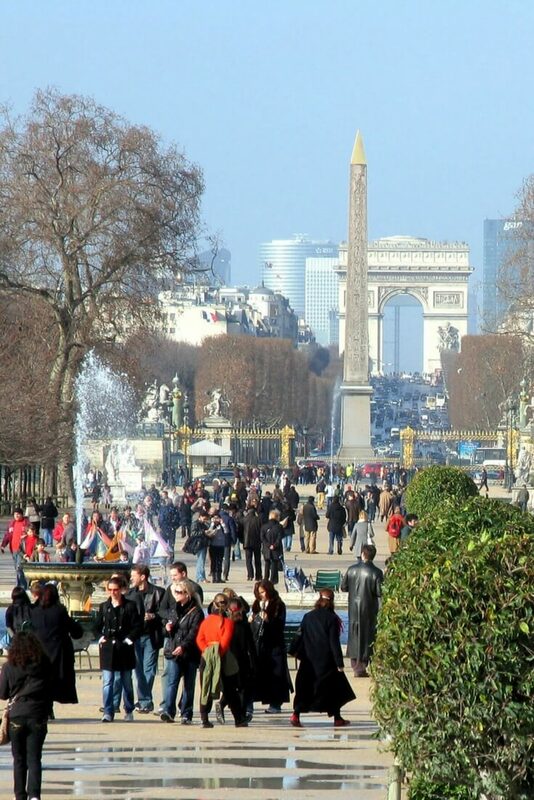 So see the Eiffel Tower and after give up on Montmartre or Notre Dame for example, sit in a café and enjoy your time. Annie: [00:20:44] Yeah yeah I agree absolutely agree. So give us some tips. This show is going to be released probably a little bit before Christmas maybe after Christmas. I’m not sure, but if they wanted to see the Christmas lights while they’re on their layover. What do you recommend? Annie: [00:21:01] The best place… there are two best places and I think it’s not just me. Les Champs Elysées, even if it’s a really touristy place. The Champs Elysées at Christmas is maybe the only time that parisians actually go to Les Champs Elysées. [00:21:15] Because it’s beautiful during Christmas time with the illuminations at night, at night it’s starting at 5:00 p.m.. Yeah it’s amazing. For me it’s really… I remember I was a child when it went in here. Yeah. And also “les grands magasins”. Les Galeries Lafayette, to see the Christmas tree inside, to see the animations outside (at Printemps), it’s really a nice place. There will be a lot of people, but it’s two places for me it’s also Christmas in Paris like that. Annie: [00:21:44] Yeah it’s beautiful. So the Galeries Lafayettes, there are many, which one is it where the Christmas tree is? Emmanuel: [00:21:52] It’s boulevard Haussmann. OK.
Annie: [00:21:55] So it’s on who’s on boulevard Haussmann. Because yes I mean they have Galeries Lafayettes in several locations. Emmanuel: [00:22:00] So not in Montparnasse, no, it’s really the flagship, boulevard Haussmann. Annie: [00:22:04] Yeah, go to that one. And Le Printemps, do they do nice illuminations as well? Emmanuel: [00:22:10] Yeah. So it’s close to Galeries Lafayettes, so you can do both at the same time. Yeah. Just walk outside and see and see that window out there. It’s also, for me it’s really the Galeries because of the Christmas tree. It is really artistic and so big! But yeah, Galeries and Printemps are close to each other. Annie: [00:22:29] Yes you want to see a picture of the Christmas tree at the Galeries Lafayette. I think this year’s Christmas tree at the Galeries Lafayette, on episode 94 that’s going to be the cover photo for that episode. It’s beautiful. It’s really very nice. I don’t think I’ll get to see it this year. Because we’re not going to Paris for the holidays. That is it’s gorgeous. And the other thing you can do of course is this ice rink at the Eiffel Tower. Emmanuel: [00:23:00] Yeah. So that’s not just for Christmas, that’s during the whole winter. I think it stops in February or March. So, when you go to the Eiffel Tower and take your tickets to the first floor there is a small but so amazing ice skate park, where you can do ice skating. And you are 100 meters above Paris. So it’s really amazing. Annie: [00:23:23] That’s very nice. Is there a special line to get just in that? Emmanuel: [00:23:28] No, no it’s just classic tickets go to the first floor and then you shake. It’s free if you have your own ice skating shoes. Or it’s five euros if you wish to rent one. Annie: [00:23:38] So that’s not expensive and it’s really ice, right? It’s not one of these polymers that you skate on. Emmanuel: [00:23:45] It’s ice. Yes. [00:23:47] It’s OK because I’ve skated before on… You use the same ice skates but it’s like a polymer it’s a sort of plastic that you skate on. Emmanuel: [00:23:59] I’m not a pro on this topic, but I really believe it’s ice. Annie: [00:24:07] Guess that’s good. All right. A list of tips that you want to share which sounded good to me. Emmanuel: [00:24:14] Yeah, for example, about layover tour, for sure. Don’t forget that you’re in Paris when you are in Paris doing a layover. And check the weather in Paris. Sometimes when you travel from Florida, from Miami to East Asia, so it’s warm where you start your trip and it will be warm where you end your journey, but in Paris can be really cold and it can be a rainy day. So don’t forget to take a warm sweater, we have seen travelers making a tour with us that were only in a t-shirt in November. So yeah. Annie: [00:24:46] Bad idea. Yeah. Annie: [00:24:49] Yeah I mean it’s not going to be freezing freezing for the most part. But it’ll be wet and feel very cold yeah yeah yeah. [00:24:59] So Paris is not the coldest city in Europe or in the world, but still don’t forget that you’re in Europe, north Europe, and the temperature can be low. Annie: [00:25:08] Yeah yeah. That’s a very good tip. And in general, when you come to France it’s a good idea to have a rain jacket. Yeah, and probably a fleece. And so if you’re cold, you put on the fleece and rain jacket over and you’re going to be very comfortable. Yeah. Yeah. All right. Emmanuel: [00:25:29] And another tip maybe about your luggage, is what we call “travel fast, travel light”. If you want to try to have only hand luggage, only maybe maybe just a backpack, you should know that you have a long layover. So you will save time because, of course there is a storage place at the airport and in the city, but there may be waiting times that you may have to wait just to let your luggage. And then when you’re back to take it. 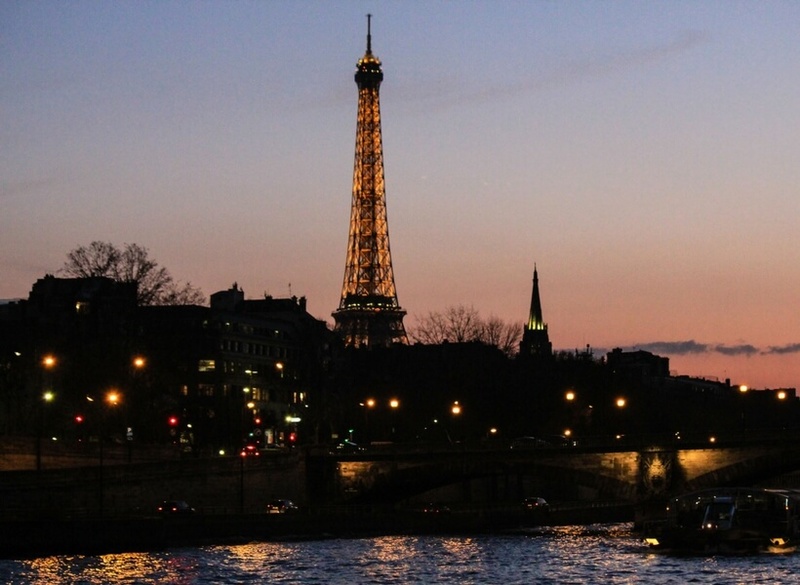 You don’t want to lose time when you have a short time in Paris. So just take a backpack, try to put everything, to let everything at the airport, so you will travel faster. Annie: [00:26:08] Yeah. You have ever seen where Bagages du Monde wasn’t taking any more bags because they were full? Emmanuel: [00:26:13] Oh no no no no no. But sometimes there are long lines. Annie: [00:26:19] So yeah yeah. OK. And then you had a tip on money which is good. Emmanuel: [00:26:27] Yes. So I think you really need around 100€ if you want to spend a good day. It depends, if you are alone, of course it’s less. But for the lunch, for the train, for the tickets, 100€ ia enough to have a good day in Paris. But you need to to get that money, and if you’re not traveling to Europe, you will not have euros with you. There is an ATM at each terminal at the airport, where you can withdraw money with any card. Emmanuel: [00:26:56] And for example terminal 2E, because it’s the most important terminal, that true. Because it’s the most important terminal, when you arrive at the international area, just go left as if you were taking the train, and it’s just here, 30 meters from the exit. There’s an ATM where you can withdraw money for the day. Annie: [00:26:59] Very good. That’s a very good tip. Yes, because if you don’t have any cash, it’s going to be difficult. Emmanuel: [00:27:20] Yes, we have a lot of travelers with us who ask if they accept dollars, and most places in Paris, they don’t accept dollars. That’s also the French fries you know. Annie: [00:27:29] Well, I’ve got news for you: they don’t take euros in America either! Yeah I showed ut at Macy’s and I wanted to pay in euros, I don’t think that day that, so I don’t see why we should take dollars here. I mean, it’s just the way it is, you have to have local currency. Anywhere you go. But it’s true that Americans who are only used to going to the Caribbean for instance or places like that. Yeah a lot of those places they will take either dollars or euros, as a matter of fact. Yeah I know what their local currency is. Emmanuel: [00:27:59] Yeah but at the airport, some of the Duty Frees, they will take your dollars. Not all of them. Emmanuel: [00:28:04] Yet. Some of them. But as long as you’re staying in the duty-free area, not outside. Annie: [00:28:14] All right. And then, there’s that question that people asked you a lot. Where should they stay if they’re just staying for one night? [00:28:25] So yeah. You’re staying for one night in Paris and you have time to visit the city, maybe before the night or just after the night before taking your next flight. And we have a lot of travelers asking us the question: “Should we book a hotel in Paris or at the airport?”. Emmanuel: [00:28:40] Because if you book a hotel at the airport, it’s great, you’re really close to the airport so no stress to have your next flight, but you’re far from Paris. Emmanuel: [00:28:51] And if you book a hotel in Paris. That’s great because it’s easy to visit the city, but it can be stressful to go back to the airport to take your flights. Emmanuel: [00:29:00] Our advice, but that’s really my advice, so you do whatever you want do at the end, is to book a hotel at the airport. Annie: [00:29:12] That’s what I was going to say also. Emmanuel: [00:29:12] Oh great Annie, we’re on the same side! Yeah because. So you can get off the plane and and then you can go directly to the hotel, leave your luggage, leave your luggage there in your room, freshen up, and then take the train or take a cab to visit Paris before going back to the hotel. Yeah but everything will be fine. You will be really, sorry, you will feel really feel less stressed if you know that there is a room close to your flight that is waiting for you. Annie: [00:29:37] Yeah I totally agree. And also your luggage is safe at the hotel. Even if you don’t want to take the time to freshen up and all that and get to your room. You can just show up tell me where you are. Keep my luggage and you’re out the door. Yeah. And save you a lot of time. So yeah that’s what we always do when we have that sort of situation, it’s just a no brainer. Most places you go. And yeah, of course it’s more romantic if you have a view onto the Eiffel Tower from your hotel. There’s not that many hotels that can give you that anyway. Emmanuel: [00:30:13] And they are expensive! Annie: [00:30:16] And they are really expensive, and they are out of the way, if it’s just one night, don’t do it. Emmanuel: [00:30:22] So what are some other questions that travelers ask you? Emmanuel: [00:30:28] Sometimes we have travelers that have other taste and that want to see… Maybe maybe they’ve been to Paris before so they want to see different things. I remember one time we had we had an American chef, he didn’t want to see the Eiffel Tower, he just wanted to eat a steak-frites. Annie: [00:30:49] Well, that would be pretty easy! That’s an easy 300€! Emmanuel: [00:30:56] No, because we do a full tour for your layover. Not just the steak-frites. He wanted to eat good French food and not especially see other places. Annie: [00:31:10] OK well why not? Why not? Emmanuel: [00:31:14] So you know that also, if you want to grab a croissant or pain au chocolat, some of the traveler they say no we just want to grab a pain au chocolat or a baguette. Yeah, there is a bakery, a boulangerie called Coquelicot in Montmartre, do you know it? Annie: [00:31:32] No I don’t! Emmanuel: [00:31:32] It’s really nice, it’s really close to the Sacré Coeur and to the Métro Abbesses. The only thing is that they’re really famous now, so how to say it? They are less nicer than they used to be. Annie: [00:31:47] They’ve been spoiled by the tourists! Emmanuel: [00:31:49] But the pain au chocolat and all the pastries are really really good. Annie: [00:32:29] It’s like investing in the stock market. By the time it’s printed in newspaper that this stock is a good buy, well, everybody’s bought it, the price has gone up, it’s too late. You know. And so that’s that’s why you rely on local tour guides such as Emmanuel or a small podcast like mine where we recommend places that don’t… I mean, it’s going to be thousands of people showing up every day all of a sudden, right? So it makes a difference. So Coquelicot bakery, and it’s by which metro you said? Annie: [00:33:07] Abbesses, OK. And what was a good restaurant that’s not too overrun by tourists that’s near Notre Dame or another one by Le Louvre maybe or even at the airport maybe? I don’t know if you ever take people there. Emmanuel: [00:33:49] So between Le Louvre and Opéra, closer to the Louvre I say. And it’s a really nice place where you will only see Parisians going out of their office to lunch. With nice French food. Really classic French food so steak, tartare de saumon. Sorry I don’t know how to say it in English! Annie: [00:34:08] Steak tartare? Yeah. Often they translate that “American Filet” which is really silly because steak tartare is raw beef and I don’t know a lot of Americans who will eat raw beef! And so to call it an American Filet is a bit strange. Emmanuel: [00:34:29] So for example, there is this place. Annie: [00:34:31] Oh good. Very good. And maybe time-saving tip. Something that helped you save time in Paris. Emmanuel: [00:34:44] During a layover? Annie: [00:34:45] Maybe not during a layover, any time. Emmanuel: [00:34:45] Aaah, let me think. One transportation tip, but it’s kinda… Is to take the Metro during your tour or during your journey in Paris. Because it’s really faster than just taking a taxi or taking the bus. The Metro network, when you’re not from Paris you always imagine that the Metro network that are quite slow, or you can’t go everywhere. I think we have one of the most reliable Metro systems in Paris. Yeah. And you which can bring you everywhere quite fast. So that would be one of my tips. Annie: [00:35:30] But see, the thing is, because you live there, you know. Emmanuel: [00:35:36] Yeah you’re right. Annie: [00:35:38] Exactly where you are. And you know, well, if Well you know I get in the train if I get in the Metro at this entrance, it’s a short walk to the to “quai”. How do you say that in English? To the platform, to the platform, sorry! But sometimes you think, oh I’m going to get on the underground and then you’ll end up walking a mile before you get to your platform. Emmanuel: [00:36:05] You’re right. And you never know if you’re a tourist. You never know which way it’s going to be. Whereas if you’ve done it a million times you know. Oh, from here it’s quick, I just go and I’m there. And I wish somebody would actually create some sort of app that tells you from this location it’s faster to walk to where you want to go, or it’s faster to get the Metro. Emmanuel: [00:36:33] That’s a good idea, will try to work on it Annie! Annie: [00:36:39] Because it really depends on what street you get on the metro from. It makes a world of difference. I have found. Emmanuel: [00:36:47] Maybe a tip, it’s less about saving time, but what’s really enjoying Paris. Ones of my favorite places in Paris if you really want to feel the Parisian atmosphere as a Parisians who lives in the city, it’s a road between Le Louvre and L’Opéra. 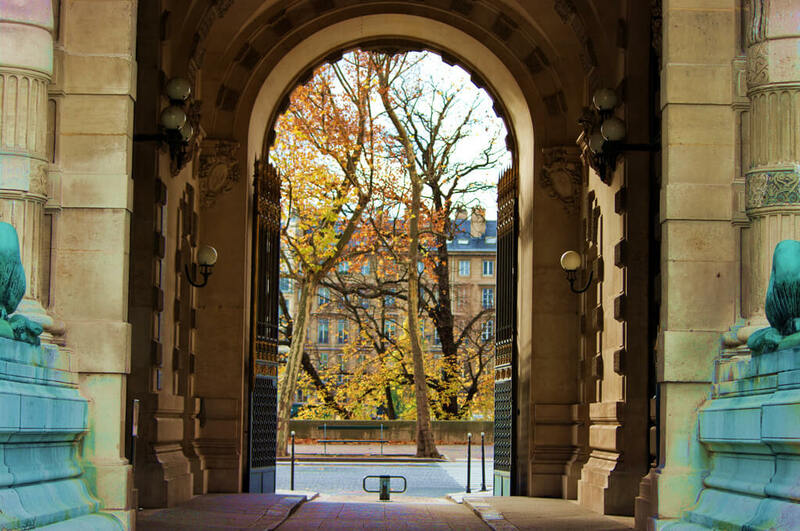 So it’s a district where you have really nice landmarks, Le Louvre and L’Opéra for example, but if you take the small streets “sous les jardins du Palais Royal”, rue Vivienne, and for example Le Passage Choiseul, it’s small streets, filled with Parisian restaurants. You will see the Parisians in their cafés, drinking café, stopping to… and there is a lot of really nice shops. So Passage Choiseul, rue des Petits-Champs, that’s kind of the magic triangle for me to discover in Paris. Underated in the travel guides. Annie: [00:37:38] Excellent! Passage Fasel you called it? Annie: [00:37:38] Ah, OK. OK. All right. OK. Yeah that’s a very nice area of Paris just to walk around. Which, Paris, a lot of Paris is lovely to walk around, anyway. All right. Well I think we just need to remind everybody how they can get a hold of you. Emmanuel: [00:38:07] They want to contact us to see our tours, you can go on our website so that’s www.tripaside.com, maybe they will find the link on your page? Emmanuel: [00:38:24] And they can send an e-mail and say they are coming from you and we’ll have a small gift for them. Annie: [00:38:31] Oh, a little surprised too. That’s awesome. All right. Thank you so much Emmanuel, it’s been lovely talking to you. And thank you for the tips. That was great. Emmanuel: [00:38:42] Thanks and thanks again. All right. Bye! Annie: [00:38:46] Those of you who are subscribed to the Web site will find us three extra downloads to go along with this episode. When you open your copy of the announcement for episode 96 you’ll find three things. Number one: a map of the work to help you find the Porte des Lions. 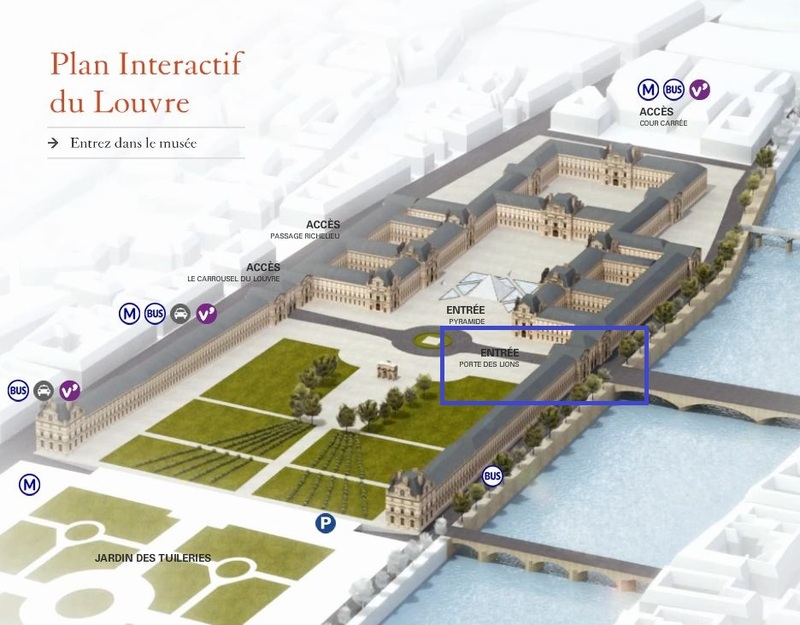 Number two: another map of the Louvre to help you get to the Mona Lisa very quickly. And even better, number three is going to be Emanuel’s favorite walk in Paris between the Louvre and the Opéra Garnier through small streets he mentioned on the episode. And he loves them because they’re small streets they’re not overrun by tourists and they will give you a great feel for the genuine Paris very quickly. If you have any trouble getting to those extras send me an email annie@joinusinfrance.com and I’ll sort you out. Annie: [00:39:39] This is the French tip of the week. Annie: [00:39:43] In this episode Emmanuel and I explained how the fastest way to get into the Louvre is to use La Porte des Lions. But it’s not open every day. So to find out if it’s open you need to call the louvre main switch, a human will answer the phone, and you’ll have to say something like this. “Bonjour, j’appelle pour savoir si la Porte des Lions est ouverte au public aujourd’hui. Pouvez-vous me passer le poste 45 80 s’il vous plaît ?” And once that extension answers the phone repeat again “Bonjour j’appelle pour savoir si la Porte des Lions est ouverte au public aujourd’hui.” And that’s it. That’s it. They’ll tell you and you won’t have to go to the wrong place. 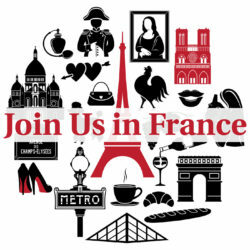 The phone number you need to call is on the website https://joinusinfrance.com/96. Join us and friends dot com forward slash ’96 it’s towards the very bottom of the post but that’s the only way I could figure out to know for sure if that entrance is open. [00:40:55] If join us in France makes your life happier and your trip planning easier let us know by joining the mailing list. Subscribing to the podcasts reviewing the show on iTunes sharing status updates on Facebook or sending in a donation. Merci beaucoup.